You guys know how much I love Mel, from Mel’s Kitchen Cafe. Did you hear her episode? She’s the best! Well she just came out with an awesome new E-Cookbook, featuring 30 brand-spanking-new recipes! 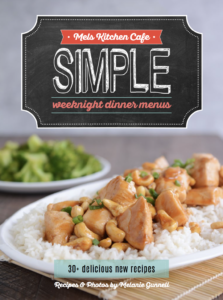 I bought it the first day and am loving the new options to add into my meal rotation. 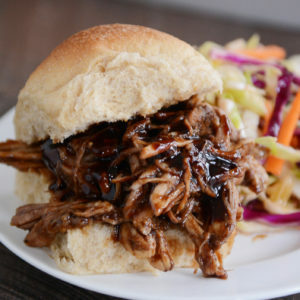 We talk specifically about the Pork Sandwich recipe, and I made that last night for my family and they were singing my praises! Not only do you want to check out the cookbook for only $9.99, but I love that proceeds from the book go to an amazing organization called Mentors International, which provides micro-loans for people in Africa. Good food and a good cause… win win! So today I’m chatting with her about the cookbook and about her trip to Africa to see the good work this organization is doing. She’s also nice enough that she wants to give away 5 cookbooks to my listeners. To enter, go to my account on instagram and follow Mel as well, and then tag two friends per comment to be entered to win (you can enter as many times as you want). You can also go buy the cookbook on her website by clicking the widget on the sidebar and if you do that and leave a comment telling me that you did, that is another way to enter. 5 winners will be picked next Friday, Sept 16. I hope you win! It’d also make a great gift for a friend!